Bavaria Saat meets the Challenges of the Future! 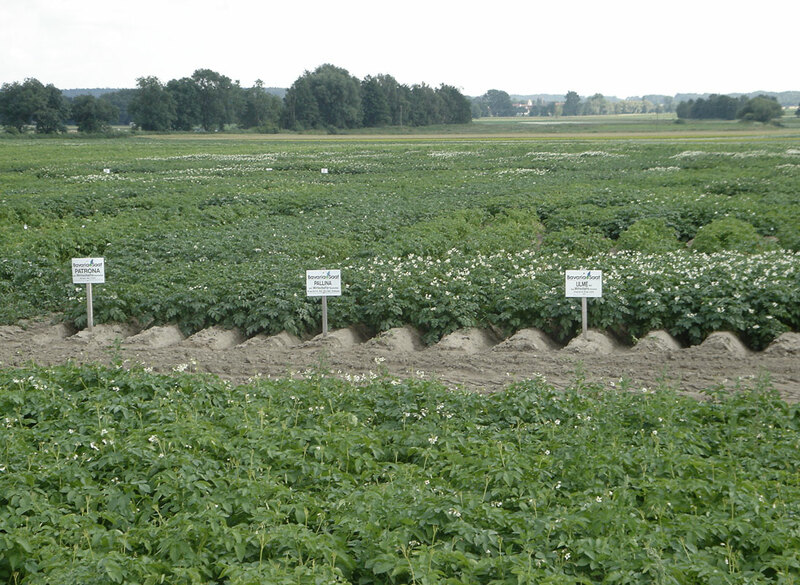 We at Bavaria-Saat are adjusting to the constantly changing requirements of the potato market with an extensive new breeding programme. Climate changes, for example, give rise to a demand for potato varieties which can give good results under dry climatic conditions. Special attention is also given to developing varieties with a high resistant a level to viruses. By using complex maintenance cultivation methods it is possible to maintain the quality of the varieties. Testing for resistances is partly carried out in cooperation with the Bavarian Central Authority of Agriculture (LfL) in Freising/Weihenstephan. The breeding material is planted outdoors in light soil for the first three years, giving a good basis for selection regarding scab and tolerance in dry conditions. The extent of the maintenance breeding we carry out depends on the market significance of a particular variety. Bavaria-Saat varieties are propagated exclusively using in-vitro – cultivation methods. This work is also done in cooperation with the Bavarian Central Authority of Agriculture. The in-vitro method ensures a completely bacteria and virus-free propagation of new plant material. During the first three years of the maintenance breeding process virus infections by aphids are prevented 100% mechanically. This is done over an area now covering approx. 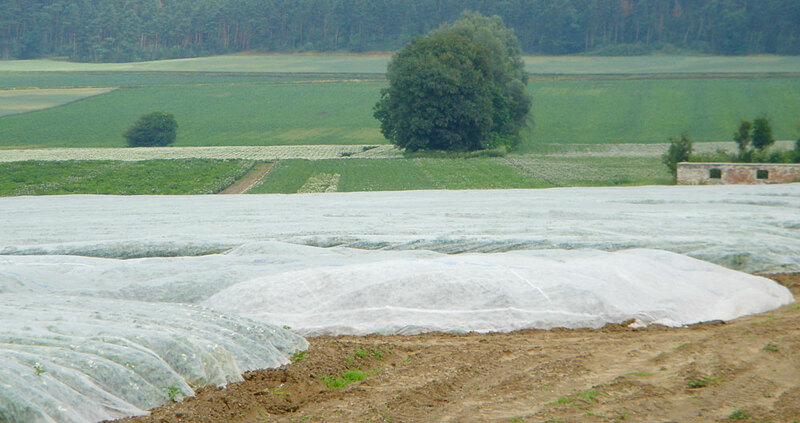 4.000 m2 gauze tunneling and 14 hectares of gauze sheeting divided between the 4 Bavaria-Saat partner farms. 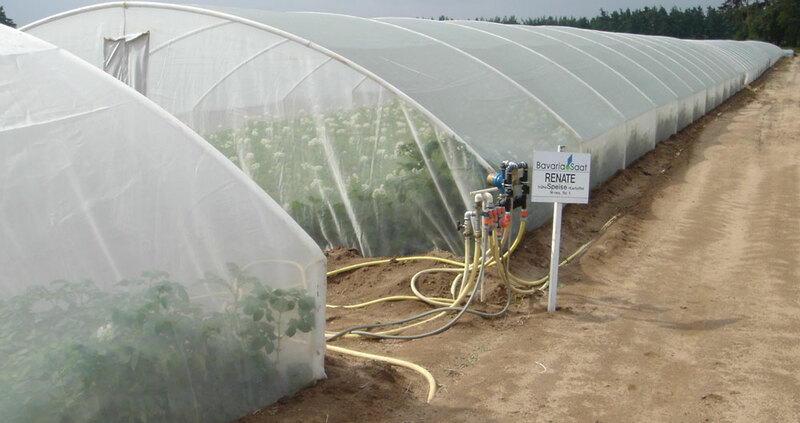 This method considerably reduces the use of insecticides.